I like what I’m seeing at West Elm in 2010. The company seems to be simplifying its furnishings and accessories, and is focused on key pieces that will enliven a modern space. 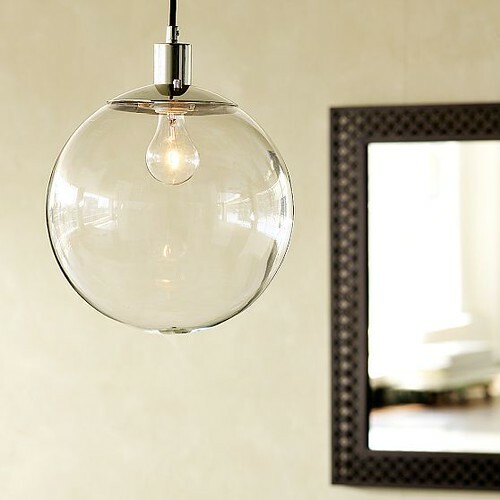 Their current selection of lighting offers a diverse array of pendant lamps that are clean, modern and very unique. 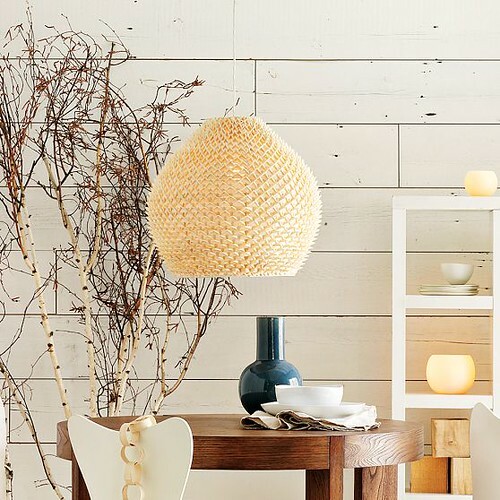 Priced to fit well into any budget, West Elm pendants are a great way to update your lighting in the New Year. This Woven Pendant is all about drama. Layered palm leaves create a unique pattern and texture. 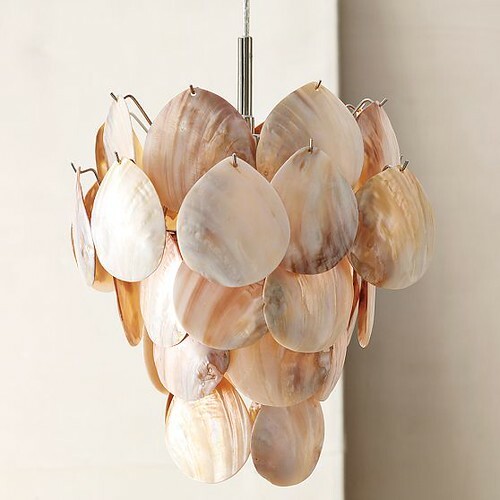 I love this Natural Capiz Pendant. It’s the perfect way to cast a soft, romantic glow at home. 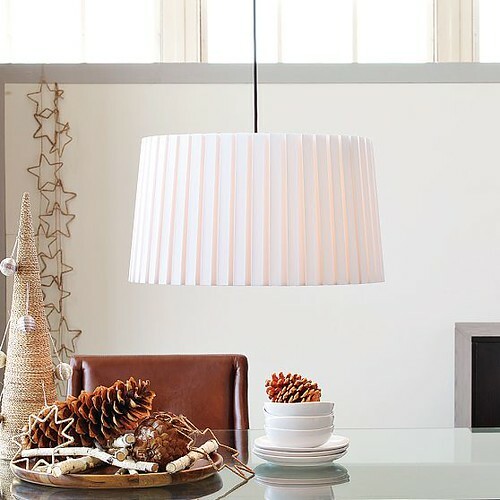 The Pleated Pendant offers a classic and sophisticated feel. Tailored pleats in bright white are very elegant. I am in love with this Globe Pendant. Glass and metal comes together to create a simple statement. This pendant is even more beautiful in a group of two or three. 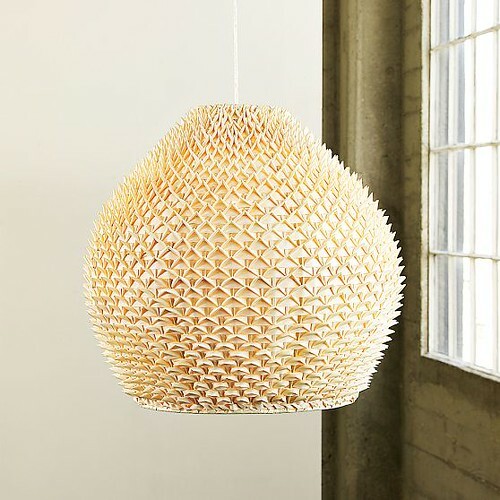 Visit West Elm for unique lighting choices in the New Year. You can see more fantastic lighting right here. Vote Today and Move This Country Forward! The West Coast's First Concept House by African-Americans Gets Unveiled This Weekend!